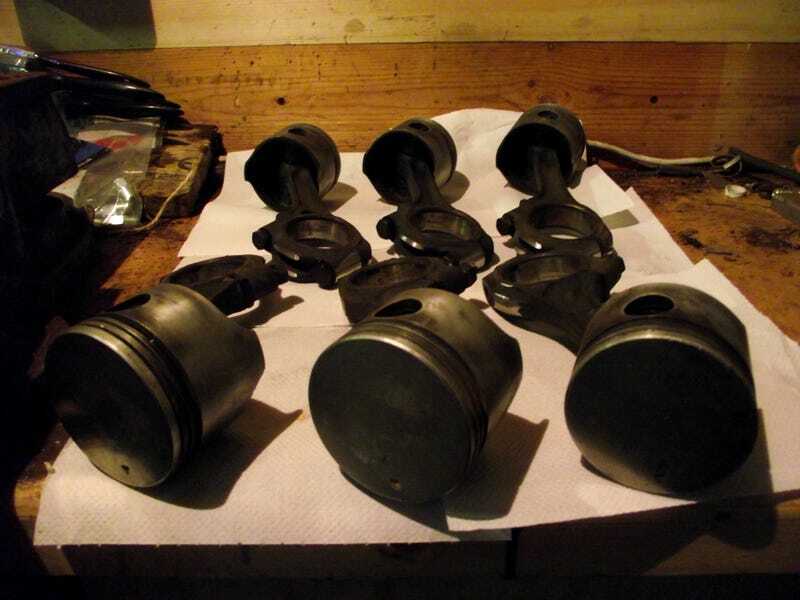 Went and retrieved the balanced pistons and rods from the workshop they were at. One was a good deal lighter than the rest of them so it's definitely been worthwhile. Also, the Alfa's front suspension has been crashing horribly for the past few months. I've finally had a decent enough amount of time off work to pull it apart and not really have to worry about throwing it all back together in a day.